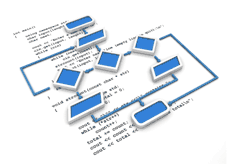 Automation Creations, Inc. (ACI) specializes in providing custom software development. This is more than just programming! We provide architects, designers, developers, trainers, testers, and project management depending on your specific needs. Combining spectacular visual designs with our innovative programming and database solutions has become our forte. Our goal in every project, no matter how big or small, is to form strong relationships with our clients and to work together as a team to find the best solution for their project. We strive to become our client's most valuable technology partner. Whether you have a new programming challenge or just need to tweak an existing application, we can help. We start with a thorough understanding of the business problem you are confronting and make suggestions on how automation can help. Whether it’s an opportunity to create something new or update something that already works for most of your business, we work with you to formulate the best approach. Our developers cover a wide range of automation technologies. When we started in 1996, web automation was in its infancy. Now, clients have a tremendous range of programming languages, operating systems, graphic environments, design patterns, and programming methodologies to choose from. Our staff is certified in numerous proven technologies, and abreast of the latest developments. Contact us for a free consultation. We’d like to get to know your business and work together on ways to improve your profitability, your client satisfaction, and your marketing.